Basargina lighthouse. 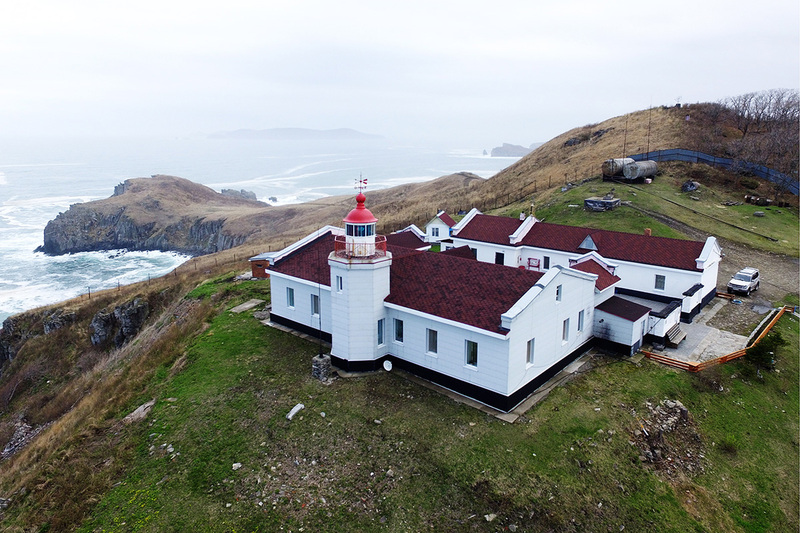 The lighthouse first appeared as a wooden building here in 1937, and the lighthouse in its current form — stone with an 8-meter high tower — was built in 1958. Recently the GLONASS system was established here, which improved the safety of navigation, but the traditional fire on top of the tower continues to be in demand. The Russian Far East is an active shipping region, where the cliffs and rocks hide danger even in today’s technological times. 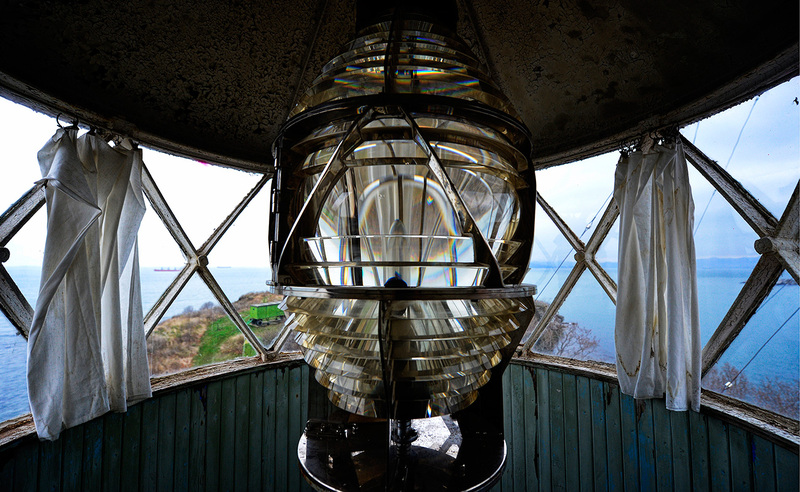 Seemingly beautiful and glorified by romantic writers and poets, lighthouses actually have a more utilitarian function of saving lives on a daily basis. 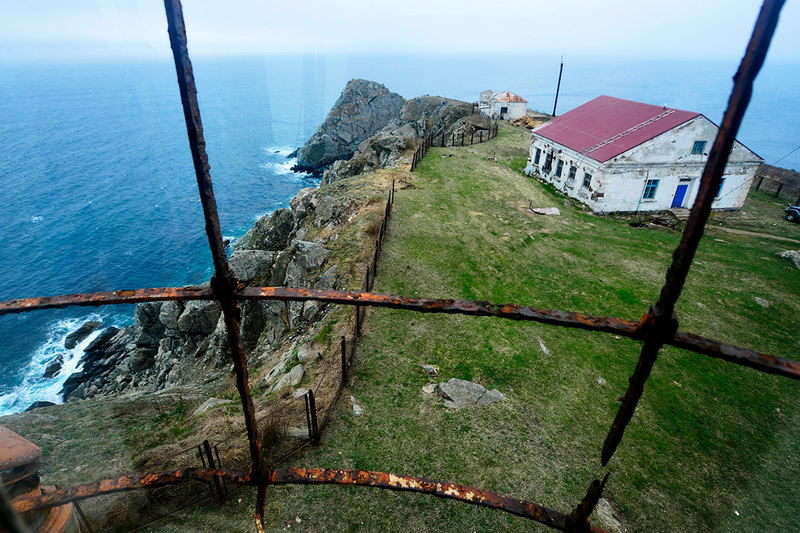 Remnants of the barracks have remained until this day, but the military no longer remains on Skrypleva Island — just the lighthouse. 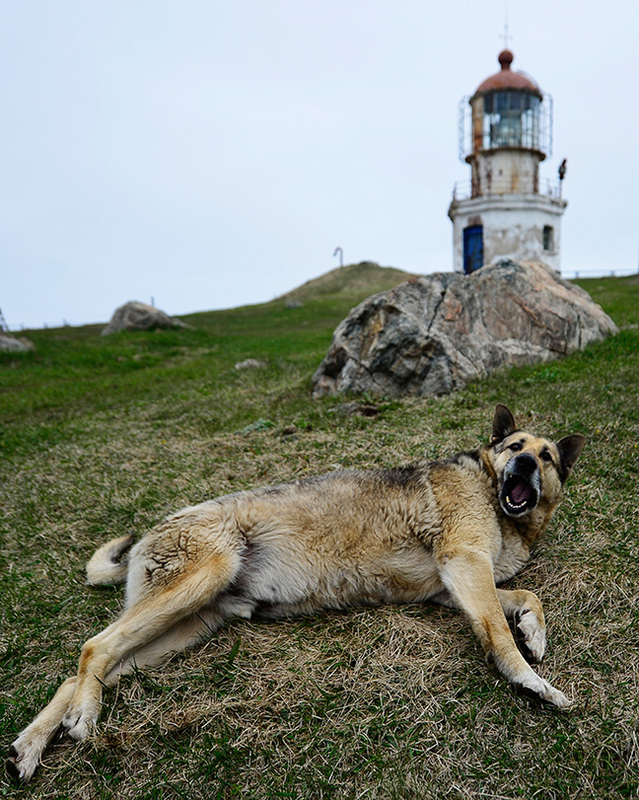 It is the oldest lighthouse of Primorye, built in 1876, it continues to be in service today. Skrypleva lighthouse. 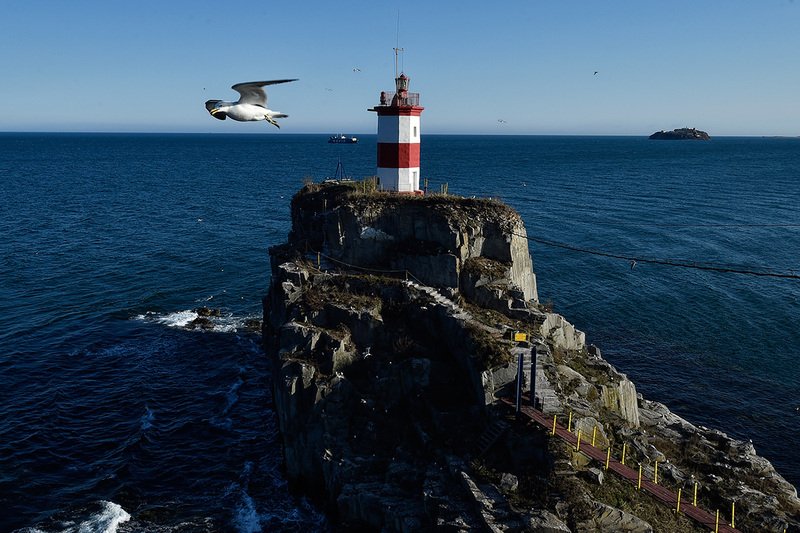 Another lighthouse operates in tandem with the Basargina lighthouse, constructed on Skrypleva Island alongside Vladivostok. During World War II, an anti-aircraft (and according to other sources — anti-boat) battery was located on this small island and was operated by women, as men were sent to the frontline. On the second floor are a cabin and a spiral staircase. 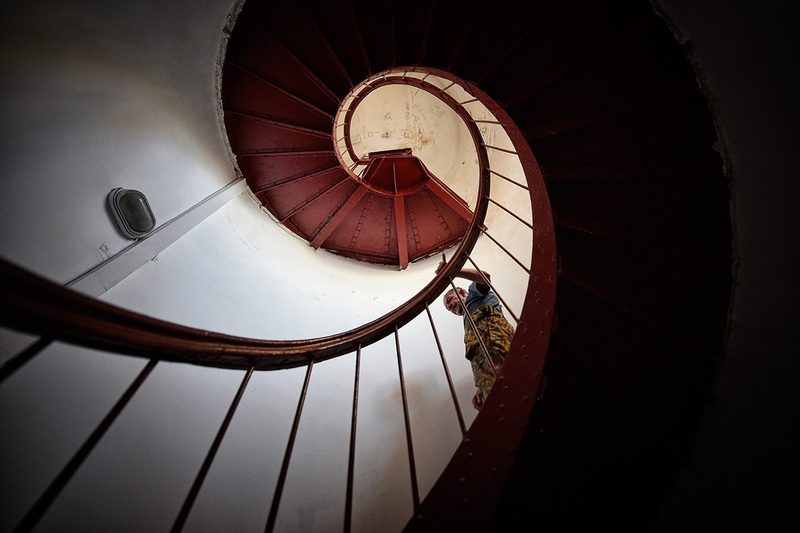 The heart of the lighthouse is to be found on the third floor – a huge lens of human height. 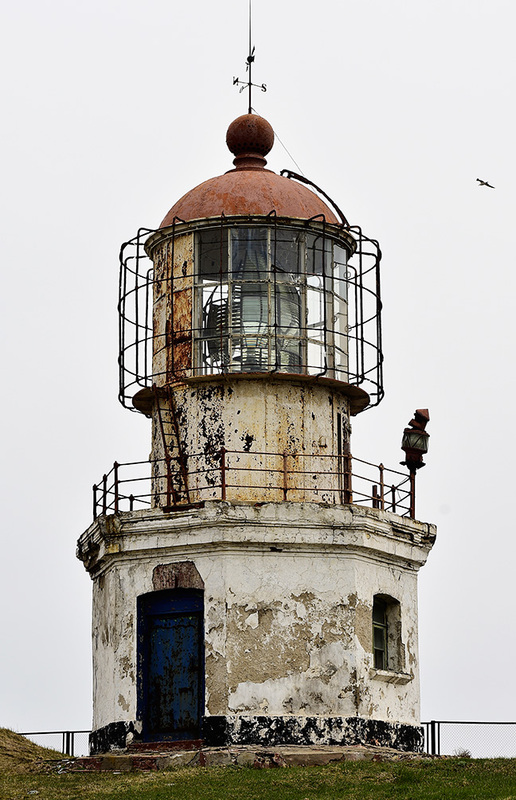 Nepristupnyi (Impregnable) lighthouse. This small eight-sided stone tower with a red dome is not named after a famous sailor or traveler, but was given the epithet “Impregnable” by the Soviet government. It is home to a lighthouse dynasty. First there was Petr Krendel, then his son Lev, and now his descendant Sergei. Bruce lighthouse. 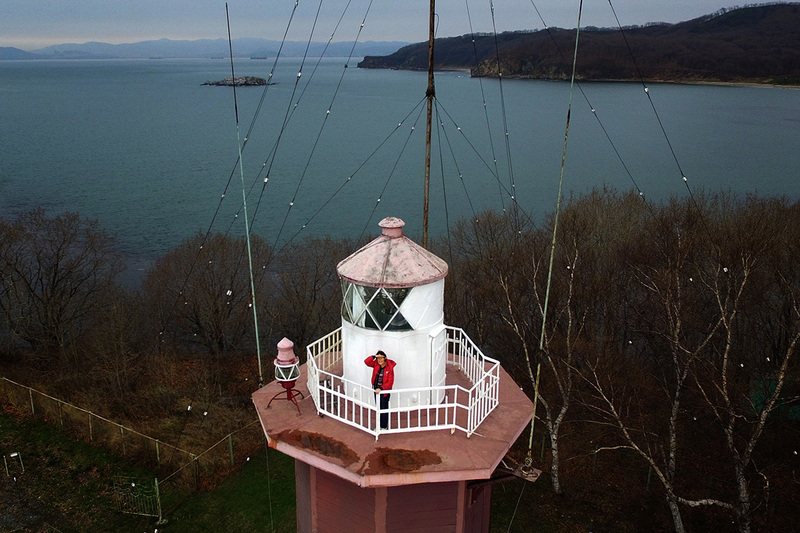 The Bruce Lighthouse was built in 1911. Its original appearance is retained to this day: A white stone tower 10 meters tall, coupled with a one-storey building. Nearby is the old sea bell (“ship’s bell”), which helped send signals afar during cloudy weather when the lighthouse’s fire was not visible. Today in bad weather, modern equipment helps deliver the signal. 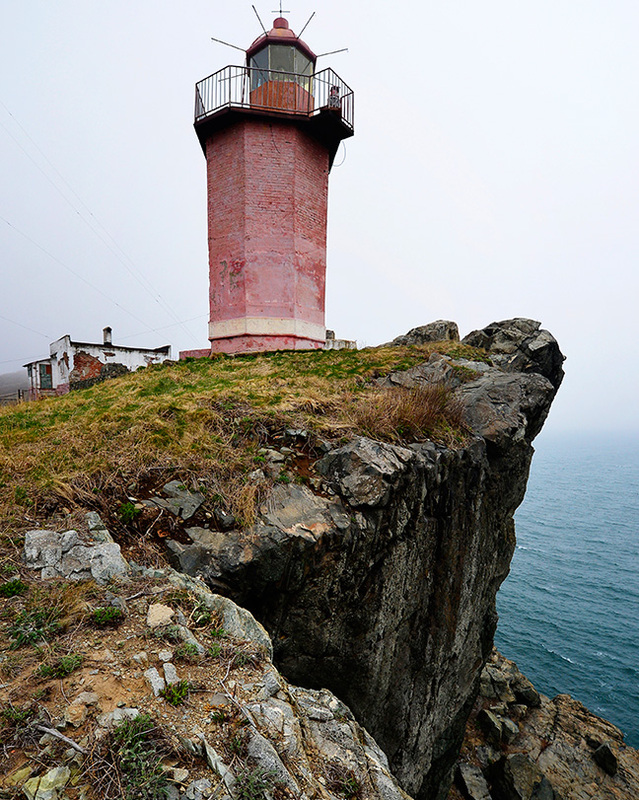 Founded in 1892, Povorotnyi (Turning) lighthouse lies 204 km from Vladivostok. Sysoeva lighthouse. 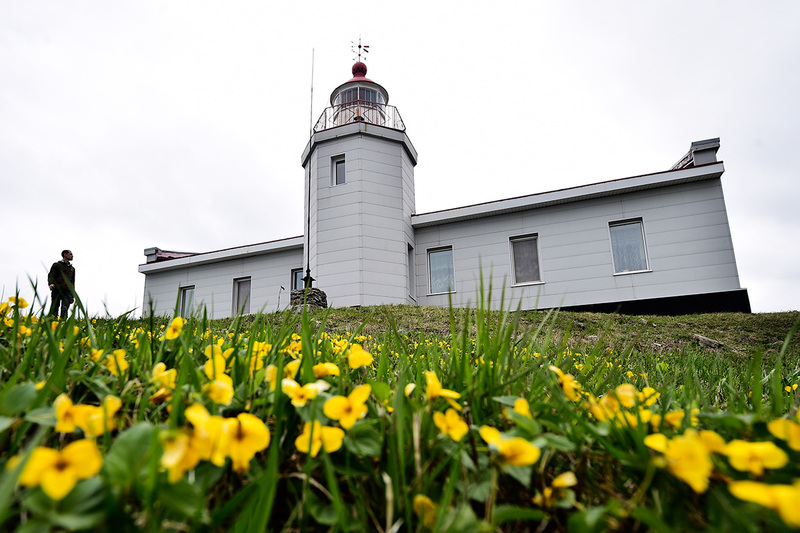 This lighthouse is named after the sailor Ivan Sysoev, as the foreland on which it stands. It is circled with cliff edges and dangerous pitfalls. The weather is very changeable with frequent fog so thick you can’t see the person you’re talking to. 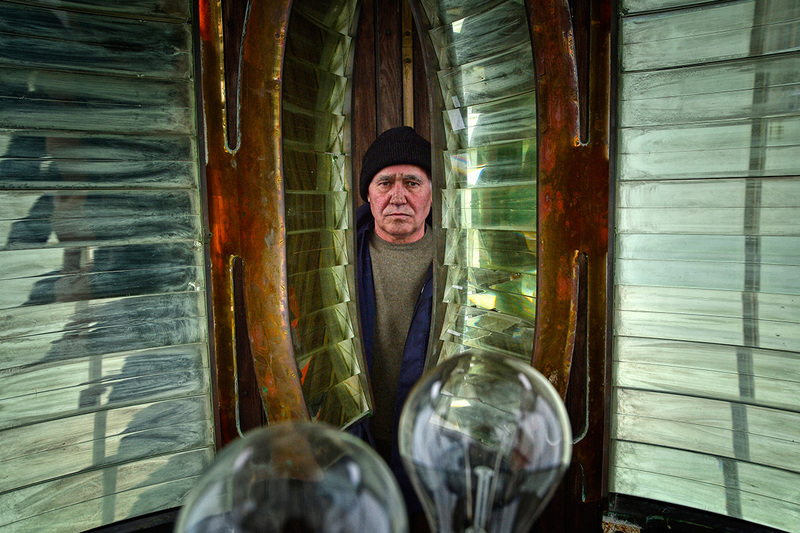 Povorotnyi (Turning) lighthouse. 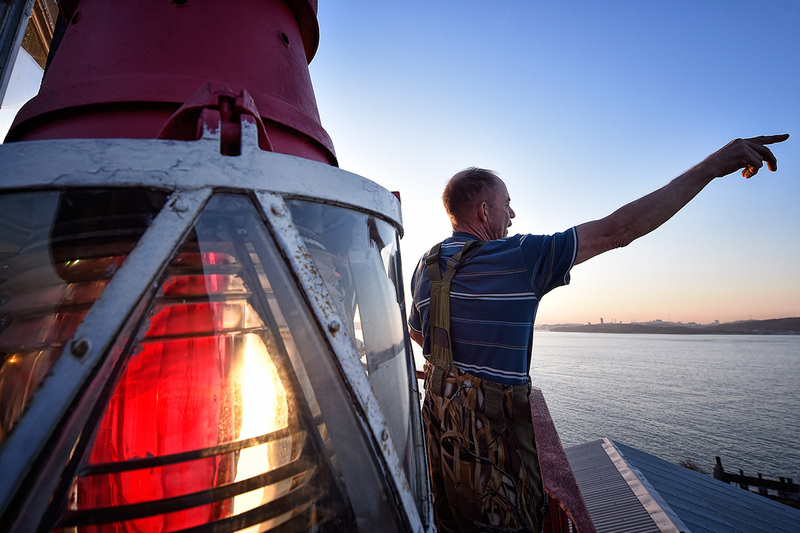 This lighthouse, built in the 19th century, is a perfect example of naval architecture. There are three floors, the walls of the first being one meter wide, while the doors and window frames are made of oak.